Barry Gray believes the Red Army can play a key role as Cliftonville bid to secure European qualification with victory over Glentoran today. 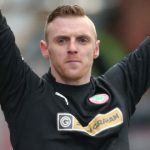 The Reds have home advantage for the Europa League Play-Off Final and, having hailed the crowd’s contribution to the midweek defeat of Ballymena United, Gray wants more of the same from the sidelines this afternoon. 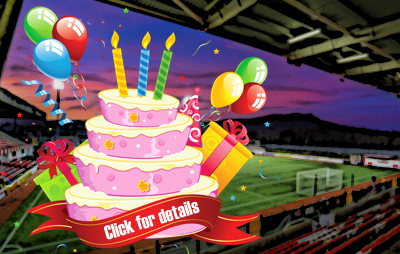 “I know our supporters will be up for it, they’re always on hand to get Solitude rocking for the big games,” he says. “We need them with us right from the start and it’s a case of everyone – staff, players, fans, board, whoever – all pulling together for this big push to get us over the line. “A game like this is never going to be as big as the Irish Cup Final and all the excitement and hype that goes with it, but the reward is still there. It’s effectively a Cup Final without a trophy and we need another huge collective effort to win the game. 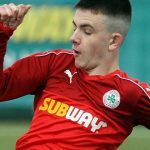 Though Cliftonville are favourites for the tie, Gray insists that neither the Danske Bank Premiership table nor recent results will count for anything – and maintains that the only form-guide he’s taking notice of is Glentoran’s Play-Off Semi Final win over Linfield on Wednesday night. “They’ve scored four goals in, what, 20 minutes and that shows what they’re capable of and the danger they are going to pose,” adds Gray. 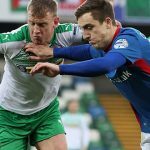 “Not too many people gave them a chance of beating Linfield at Windsor Park and certainly not when they were 2-0 down. That comeback will have given them a real lift and they’ll be on a high going into our game, they’ll be buzzing, confidence will be up and they’ll come here and give it a real go.